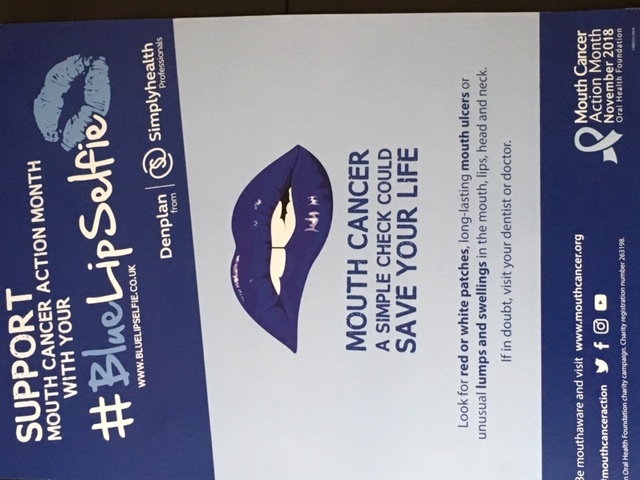 During the month of November Witton Street Dental Practice, 139 Witton Street, will be supporting Mouth Cancer Action Month by offering free oral cancer screening appointments. Mouth cancer can occur on in any part of the mouth, tongue, lips and adjacent areas like the throat, salivary glands, pharynx, sinus and other sites in the head and neck. The proportion of deaths from mouth cancers per number of cases are higher than those from breast cancer, cervical cancer or skin melanoma. Mouth cancers kill 1 person every 3 hours in the UK because of late detection. Early detection is a key factor in the treatment of mouth cancer. Please pop in to the practice or give us a call on 01606 44588 to arrange a free appointment.